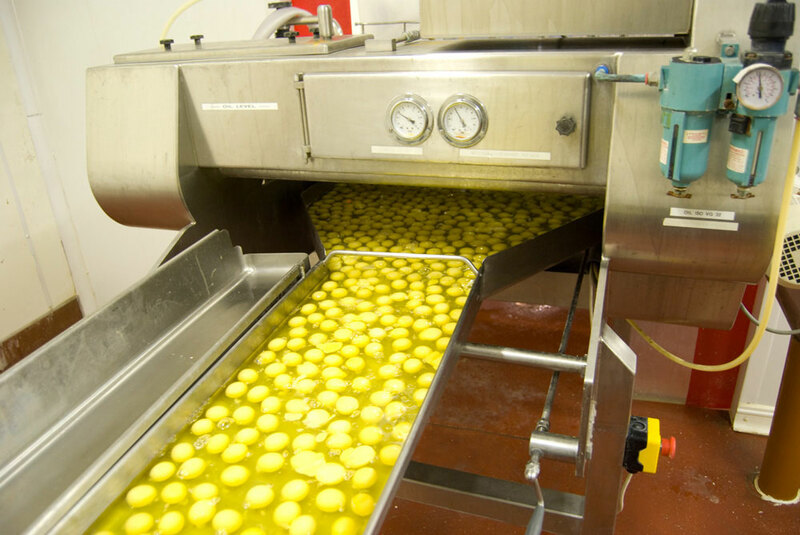 Our pasteurised liquid egg provides many benefits to food manufacturers and bakers compared to using shell eggs. There are significant benefits in terms of convenience, efficiency and safety. 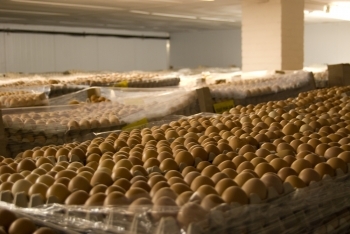 Our liquid egg products are guaranteed free of pathogens. Our eggs for processing are drawn from most of the egg farmers of the region, we also collect eggs from Yorkshire, Lincolnshire, Southern Scotland and Northern Ireland. All our supplying farms are audited regularly to ensure high standards are maintained, and food safety and traceability is secure. Eggs are stored prior to use in dedicated shell egg stores, at 8 degrees celcius. Eggs are broken on a special machine, which opens the egg, empties out the contents, and discards the shells. The machine breaks 12 eggs every second, which allows us to break a million eggs in a sensible working week. The egg contents are inspected for quality, then filtered to remove ‘chelaze’ which are the little springs that hold the yolk in the middle of the egg. Following this the liquid is chilled and kept in a chilled tank for pasteurisation. Our pasteuriser is a fully automatic, state of the art, triple tube machine. The egg is heated to 67 degrees, held for 2.5 minutes, and cooled to 4 degrees. This temperature profile guarantees the destruction of salmonella, and also destroys 99.9999% of bacteria in the egg liquid. Together with the use of positive displacement and diaphragm pumps this temperature profile ensures the egg is treated as gently as possible. This means that nearly all of the positive properties of the egg remain – to perform in your recipe. 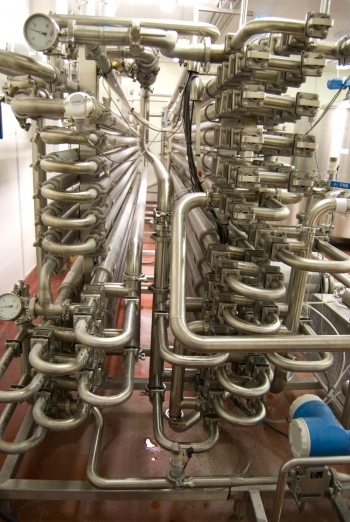 During pasteurisation all temperatures, flow rates, and pressures are monitored and recorded every second. Following pasteurisation the liquid is pumped to our filling room and packed into containers for delivery.